Jim Reitwiesner died this morning. As previously reported, he was never responsive following a massive stroke related to his latest brain cancer surgery. There will be a viewing this Tuesday and a mass and burial Wednesday, both in Chester. The details are below. With the 2019 Estling season underway, I thought I would share some upcoming local events so you can save the date. See you all soon! The Denville PAL is selling calendars for $20 featuring Police (including someone we all know! ), Fire, CERT, DPW, and OEM members from the town along with several animals from the Denville Animal Shelter. Proceeds from the sale will benefit the Vamp Up Vets Field project. 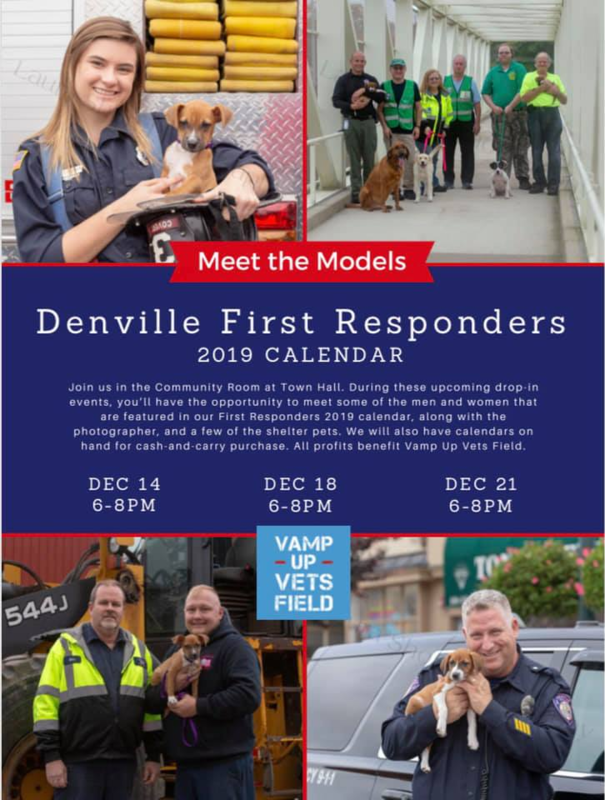 To learn more about the project or purchase a calendar, you can visit the Denville Plays site or visit their Facebook page. If you would like a calendar but can’t make the pickup dates, please let me know and I can work something out with you. There will be a Lake Maintenance Committee Meeting on Saturday July 7th at 1pm in the community house. 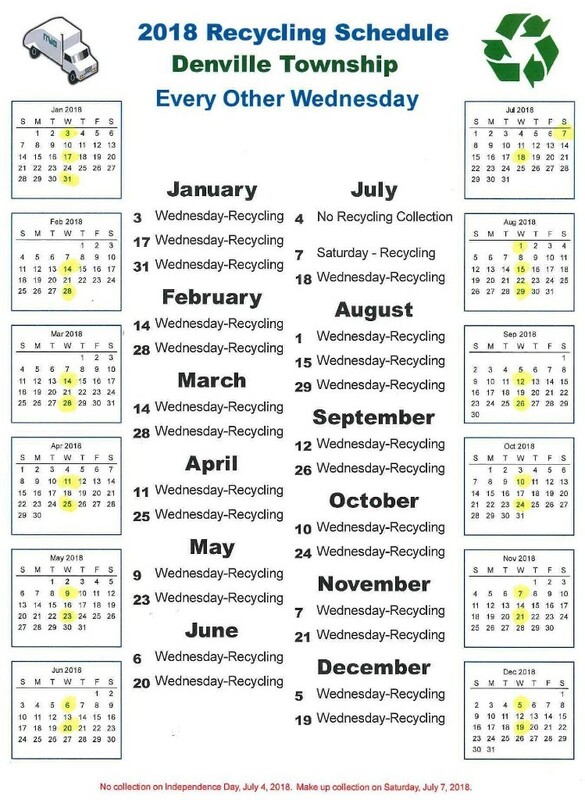 Don’t forget that recycling won’t be picked up on Wednesday this week due to the holiday. The town is coming on Saturday, July 7th for recycling pickup. As you prepare for work weekend and opening your camp for the summer you should know that Margaret B. has arranged for the town to do a brush pickup for us. So, if you wish to take advantage of this, the brush needs to be no longer than 6ft in length, not exceed 4 inches in diameter, and placed at the side of the road in manageable piles with stick ends facing in one direction. Tomorrow (Tue 5/15) a company will be milling the road west of the RR tracks. This will occur around 11 am. Then the next day (Wed 5/16) they will be paving around the same time. During this time vehicles will not be able to pass. Note that for July 4th, the pickup is being moved to Saturday July 7th.